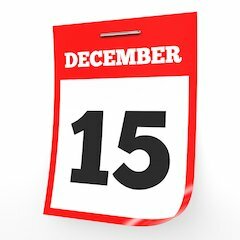 December 15. Calendar on white background. 3D illustration. 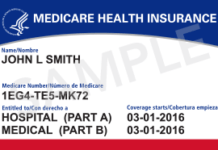 The Centers for Medicare & Medicaid Services (CMS) on April 13 issued the final Market Stabilization rule, which it says is intended to help lower premiums and stabilize individual and small group markets and increase choices for Americans. 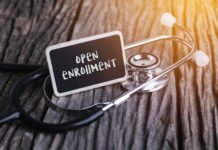 2018 Annual Open Enrollment Period: The final rule adjusts the annual open enrollment period for 2018 to more closely align with Medicare and the private market. The next open enrollment period will start on Nov. 1, 2017, and run through Dec. 15, 2017, encouraging individuals to enroll in coverage prior to the beginning of the year. 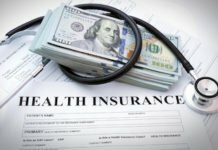 CMS also made a number of other announcements regarding the process that issuers must follow to meet the law’s requirements for the 2018 plan year. The additional guidance released includes updates that would make the guidance consistent with today’s final rule and information needed by issuers in order to have their plans certified for 2018, including: Key Dates for 2017; Issuer Guidance on Uniform Rate Review Timeline; Good Faith Compliance Guidance; QHP Certification Guidance for States; and Final Actuarial Value (AV) Calculator for 2018 and Methodology. The premium for the benchmark second-lowest cost “silver plan” on Healthcare.gov increased by an average of 25% from 2016-2017.